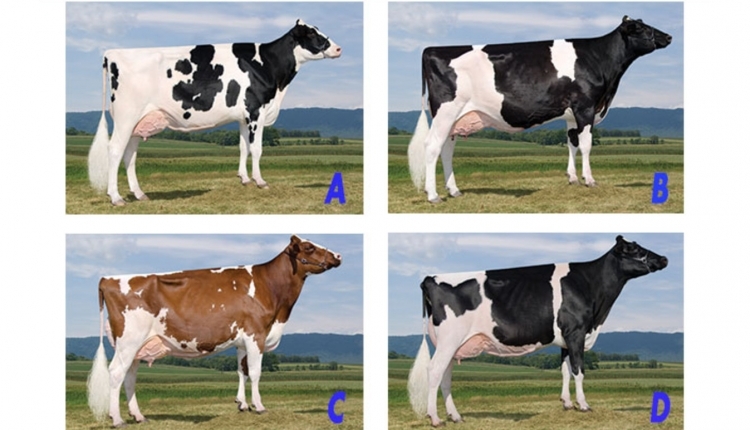 Cow C excels over the rest of the class with more bloom and width of udder, capacity of rib, and a correct, steep foot angle in this class that I placed C-D-A-B. 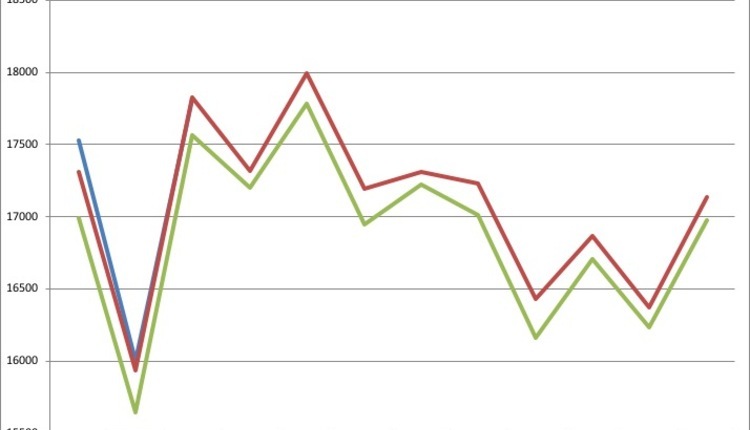 C surpasses D for having more shapeliness, less quartering, and more length to the mammary system. 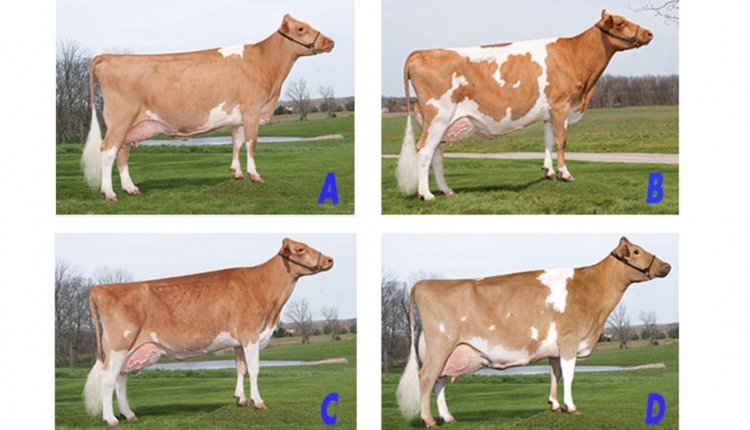 C demonstrates more dairy quality than D by being cleaner throughout, longer in the neck, and more angular down her topline. Additionally, C stands on stronger pasterns. However, D has more width of chest. In a closer placing, D goes over A with a more snug and smoother fore udder attachment. Also, D has a more balanced mammary system with more levelness on the udder floor. A appears to be a stronger cow with a heavier bone and is wider made. I admit A is longer and cleaner in the neck. A uses her straight lines to stand above B. A has more capacity of the mammary and turn to her rear udder. I also prefer the A cow’s blending from neck to shoulder and overall balance of parts. She also has a more desirable rump angle. Furthermore, A has more strength of jaw. I grant that B is smoother in the fore udder than A. 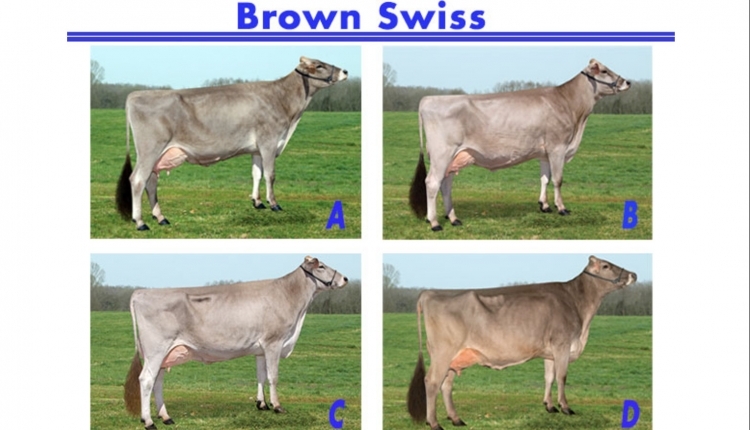 It is also noteworthy that B carries her udder higher above the ground than any of the other cows in the class. However, she still places at the bottom of this class due to her lack of height and width to the rear udder, and lack of dairy strength and depth of rib. 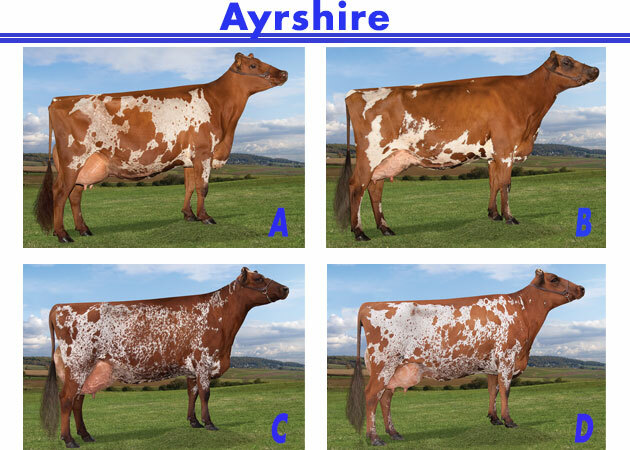 Rawn placed the AYRSHIRES. He attended The Ohio State University and Virginia Tech where he judged under the guidance of Bill Etgen, Pete Spike, and Mike Barnes. Rawn then spent 20 years in the A.I. industry. 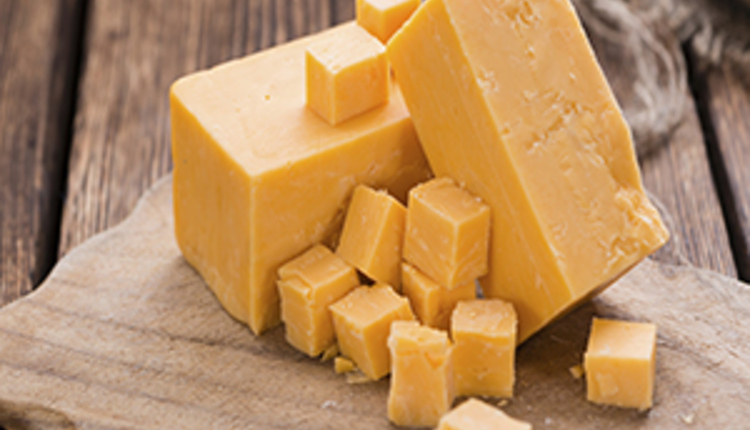 Since 2005, he has managed dairy farms in West Virginia, Georgia, Nebraska, and Ohio. 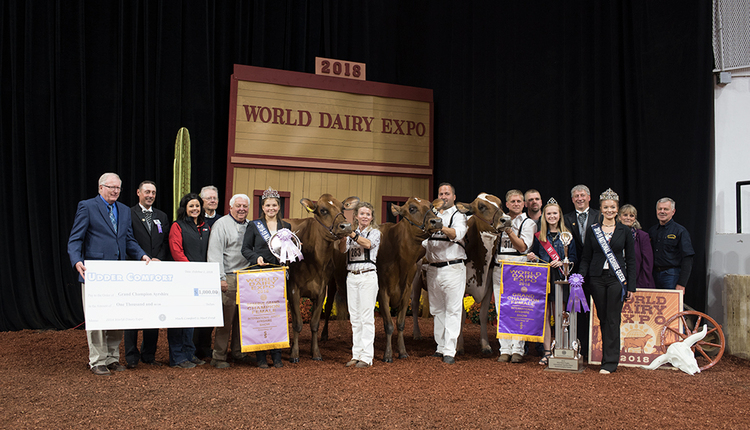 Rawn has judged all major dairy breeds in multiple states, including the Jersey Jug Futurity, and has been an official for World Dairy Expo’s Post-Secondary Contest since 2006. 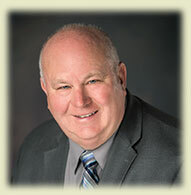 Terry and his wife, Joy, have three daughters. 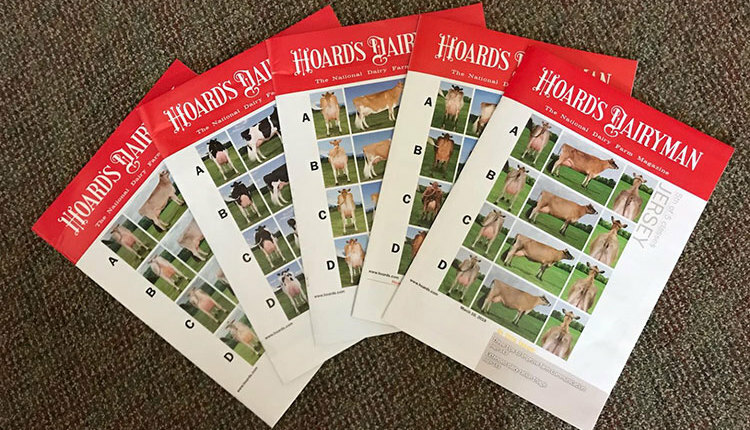 One of them showed the winning Ayrshire summer yearling at the 2017 Ohio State Fair.